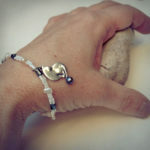 Cat charm bracelet with beads in black and white, hematite, pearls, silver. 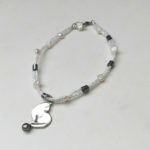 Unique handmade beaded cat charm bracelet, in black and white, with hematite and freshwater pearl beads. I cut and polished a cat figure from a sterling silver sheet. 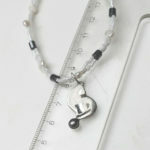 The cat charm has been decorated with a black pearl. 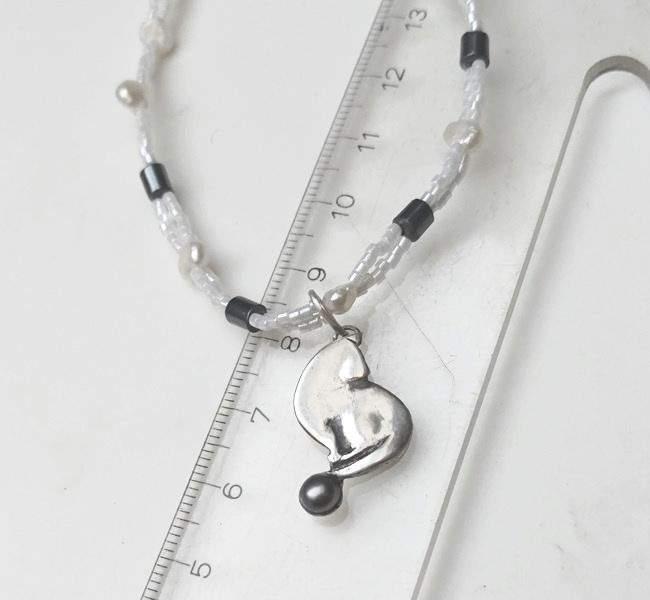 The 5 hematites and 8 white freshwater beads have been beaded together with miyuki beads. 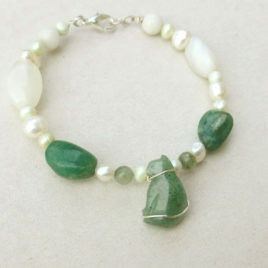 The bracelet is standard length (20.5 cm+/-). It fits all wrists but the XXXL and XS ones. Please email me if you want a different size. 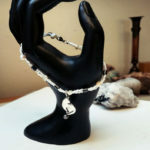 The cat charm bracelet is furnished with a sterling lobster clasp. A unique gift for a cat lover, certainly one of a kind. 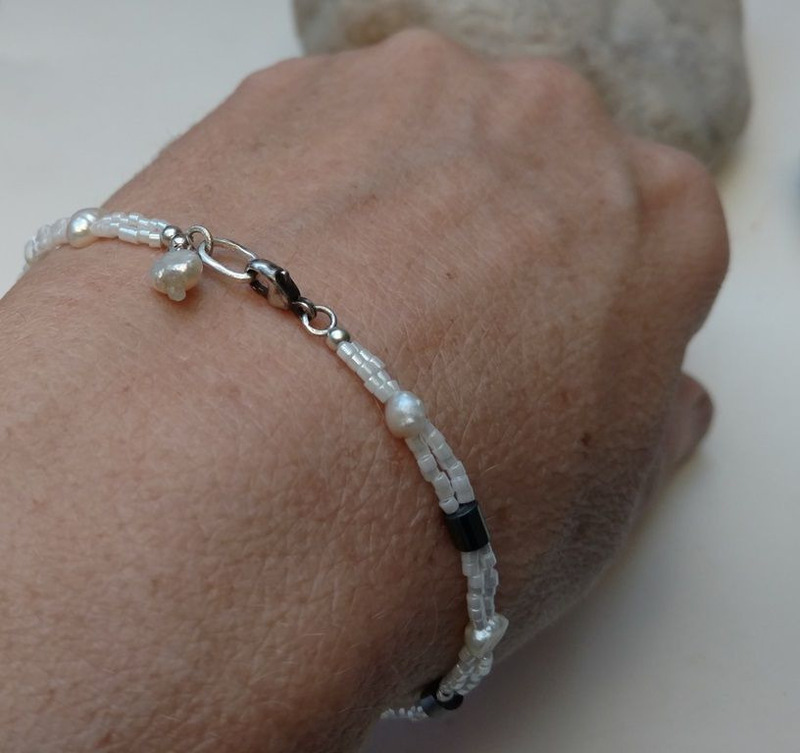 Because of its high iron content, the Hematite crystal stone meaning is associated with the ancient Greeks who used powdered Hematite to make a red pigment. Because of its intense blood-like shade when mixed with water, the Greeks named it ‘haima,’ the Latin word for blood. 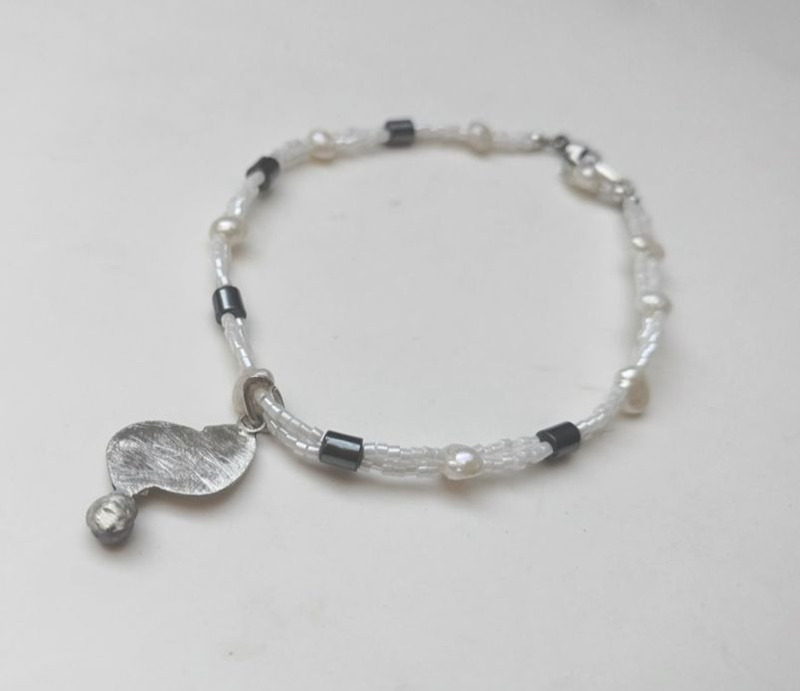 This mysterious stone with a silvery sheen is linked with the silver color ray, the shaded moonlight that mesmerizes with its bright and clear iridescence. 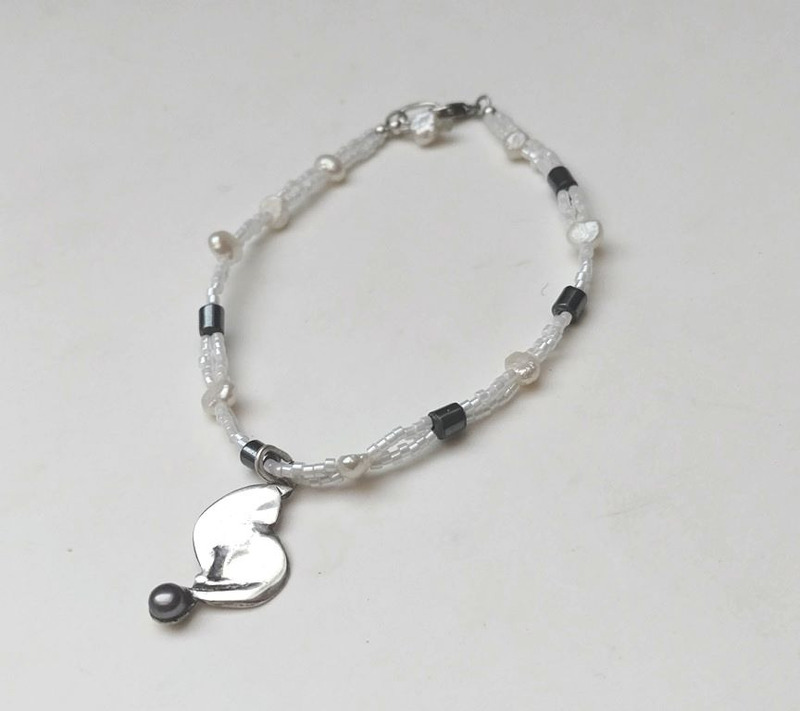 Hematite is also excellent for healing the body because it cleanses the blood and supports circulation, making it a must-have in your healing crystal tool kit. Use its warm, energizing vibes to jumpstart a sluggish nervous system and infuse your energy centers with a sense of newfound strength. 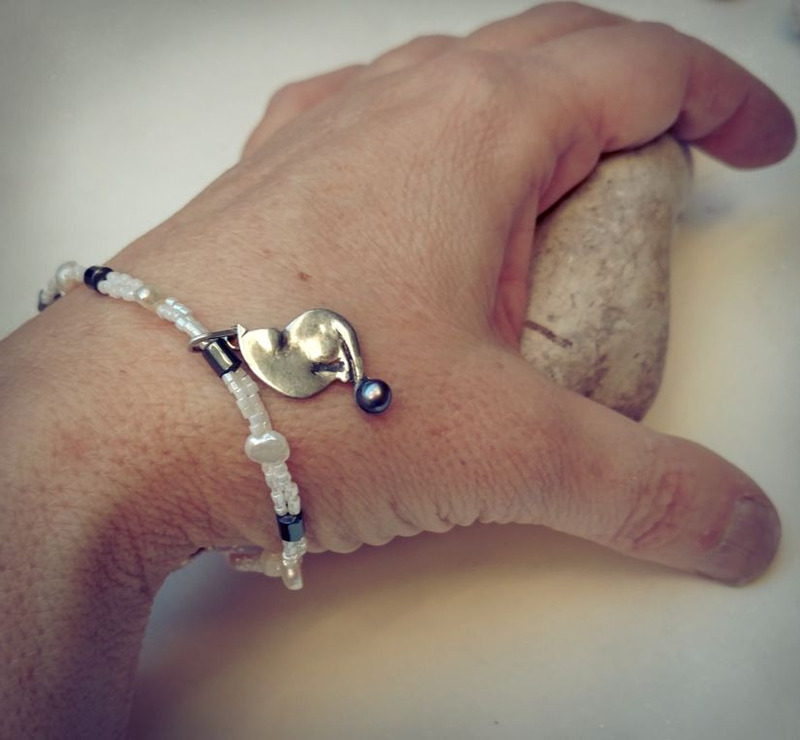 The Hematite crystal meaning is linked with its ability to absorb any toxic emotions holding you back from your natural state of joy and vitality. 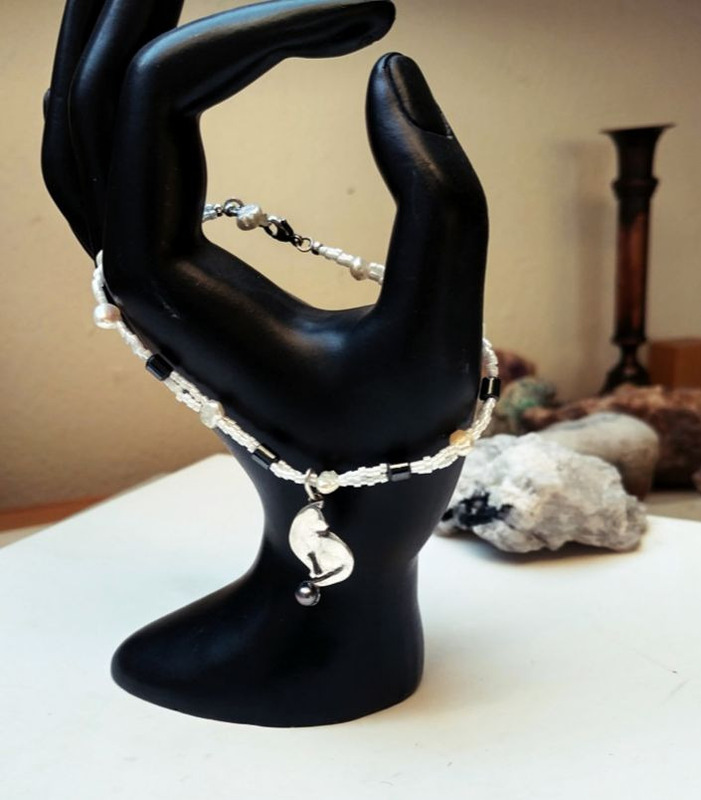 The Hematite crystal works to pull any stray negative energy in the aura to the root chakra where it neutralizes its harmful effects by balancing and aligning all seven chakras. 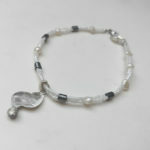 This explains why Hematite is one of the best root chakra stones.